Strategy with Kristy:Tape eller vinne med Ace-King? 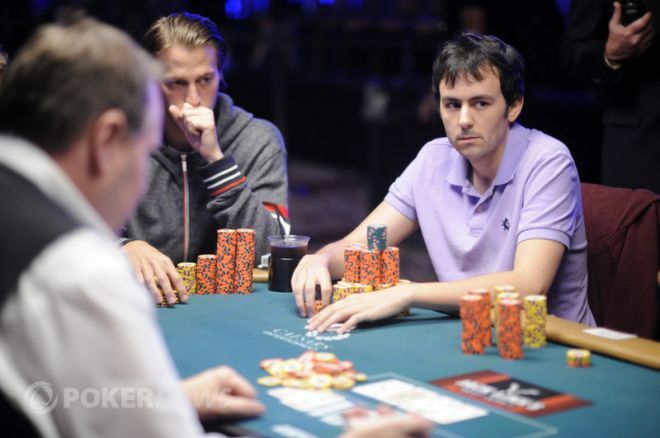 David Randall er gjest ved Strategy with Kristy[/B] podcast for å diskutere en hånd som ble spilt av Sorel Mizzi i en no-limit hold'em øvelse ved 2013 World Series of Poker. Sorel starts the hand with 26,000 with the blinds at 600-1,200. A decently active, middle-aged guy opens under-the-gun to 2,600 with 50,000 behind. Under-the-gun plus one calls with a 20,000-stack. Sorel is next to act with Ace-King suited and makes it 6,900. Obviously, in this spot, he looks pretty strong. It folds to the small blind who is kind of a recreational player. He hadn't been all that active, but he ships it for 50,000. It folds back to Sorel, and he has to decide what to do in this spot. I thought the spot was really interesting. This is one of those spots that you run in to deep in a tournament. It's really marginal, and you have to make a decision for your tournament life. You have to decide if this is the time to take a stand and take the opportunity to build a stack that will get you into contention or do you make a big lay down, protect your tournament life, and live to see another day.